To manage business operations – let alone innovate – amid frequent restructurings, outsourcings and retirements, leaders must quickly capitalize on hidden know-how (knowledge). That is, know-how that lives inside their organizations or networks – in the teams, processes and experts that comprise them. Yet, many organizations are coming up short in this race. Knowledge sharing and transfer have been reduced to reports, e-mails and tweets replacing vital personal interaction. 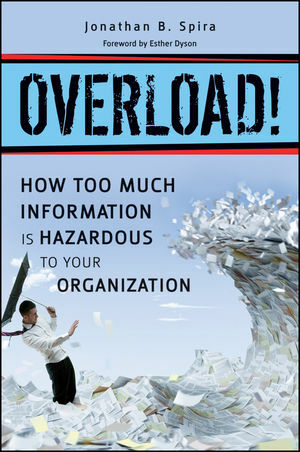 The lack of meaningful conversation coupled with intense fragmentation across organizations and networks has left leaders floating in a sea of information and ideas without a map to channel insight into action. Sharing Hidden Know-How starts the conversation that allows organizations to take what they know to the bank. The “how-to”/“how-act” guidebook unveils Knowledge Jam, a facilitated collaborative method for helping organizations rediscover the fundamental discipline of knowledge transfer – the conversation. —Thomas H. Davenport, President’s distinguished professor of IT and Management, Babson College; author of Analytics at Work and Thinking for a Living. Katrina Pugh is president of AlignConsulting, a firm that specializes in helping organizations channel insight into action. Kate held leadership positions with PwC Consulting/IBM, JPMorgan, Intel Corporation and Fidelity Investments. Foreword by Nancy M. Dixon. Chapter 1: Knowledge Jam Rationale: Solving Thorny Problems. Sidebar: Contrasting the Effects of Non-Participative Versus Collective Capture. Chapter 2: Knowledge Jam Basics. Chapter 3: Discipline 1: Facilitation. 1. Facilitating the Select Step. 2. Facilitating the Plan Step. 3. Facilitating the Discover/Capture Step. 4. Facilitating the Broker Step. 5. Facilitating the Reuse Step. Chapter 4: Discipline 2: Conversation. Chapter 5: Discipline 3: Translation. Chapter 6: Bespeckled, Married, and Emancipated. Chapter 7: Knowledge Jam Heritage: Prequel to the Three Disciplines. Sidebar: Structural Dynamics: Strategically Simulating Diversity. Chapter 8: Comparing Knowledge Jam to Other Knowledge-Capture Methods. Chapter 9: Building a Knowledge Jam Practice. Building a Business Case and Selling Knowledge Jam. Sidebar: The Price Is Right! Chapter 10: Knowledge Jam for Leading Change and Leveraging Social Media. Using Knowledge Jam for Leading Change. Sidebar: Jamming in the Boardroom—Shared Insight in Action. Knowledge Jam for Business Transformation and Social Media. Why Knowledge Jam (and other forms of Knowledge Elicitation) will take off. More Than a Business Tool. Institute for Healthcare Improvement (Healthcare Quality Improvement Nonprofit). Forest Bioproducts Research Institute (New Energy Institute). E: Knowledge Jam Practice FAQs.